Imagine the outside of your home with exterior painting by Quality Residential Painting, Inc. in Carmichael, California. Our goal is to make sure quality is number one. Everyone working on the project makes sure that your residence is well taken care of. From beginning to finish, we do it all. It starts with preparing the area, brushing down any cobwebs and pressure washing the house. Then we cover all windows and doors. After that, the wood is primed. Then we fill in any cracks in the stucco or wood openings. At the end of each day we clean up everything completely. There is no use in doing the job halfway. Every time we paint, we paint two coats with quality paints. 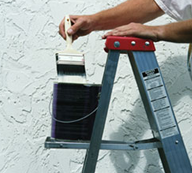 Painting is available for stucco, wood siding, metal gutters, and wood fascia. We spray and backroll all the stucco, and offer fence painting. We also provide painting services for small commercial buildings. Contact us at (916) 765-8731 in Carmichael, California, to learn more about our exterior painting services.